On January 20, 2011, the United States Justice Department issued 16 indictments against Northeast American Mafia families resulting in 127 charged defendants and more than 110 arrests. Thinking of the most ruthless and untamed American outlaws it somehow easy to transpose their influence onto a classic picture of what it is called the American Dream. Maybe because these men where the triumphant image of succeeding against all odds. Planting their influence on cultural aspects of Manhattan and Brooklyn, Detroit, Philadelphia, Chicago and New Orleans to this day. From a historical point of view, the fearless 1920s gangster names are strongly related to the Prohibition era. Every important crisis brought along his big winners. In the Prohibition case those winners were the now known nation’s gangsters that glanced the wonderful business opportunity from its beginning. The police recorded the very first attempt to break this sever law only one hour after it was operational, when six armed individuals steal around 100.000 dollars worth of whisky for medicinal use from a train. In every major city gangs had been stockpiled liquor supplies for months. 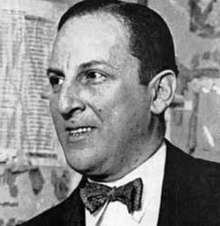 As legends are telling, Arnold Rothstein was the earliest gangster to overpower the commercial potential of the Eighteen Amendment empowered by the Volstead Act. Building up his “office” at Lindy’s Restaurant in Midtown Manhattan, Rothstein brought liquor over the Great Lakes and down the Hudson river from Canada, and provided it – at a nice looking profit – to the city’s criminals, until he was murdered in 1928. Meanwhile in Chicago the New York-born most famed American gangster, Al Capone, controlled by far the mid-1920s Chicago underworld. Known to public as compassionate to others needs, this Robin Hood of his time lived his life with good taste just like a businessman as he used to refer to himself, for the people’s delight. But the 1929 Valentine’s Day Tommy gun gangster massacre of his rivals made him one of the most infamous gangsters of America. He died in prison after being sentenced to 11 years for tax evasion. Something that could have been linked back in the day with slots online win real money. Along with the development of the United States society and culture new social type of immigrants were relocating to America. Starting with the Irish gangs in the early 19th century, followed by Italians with their Five Points Gang and then a later Jewish Eastman Gang, every one of them influenced somehow the social and cultural environment that they lived in, as still do our days. The most representative where the Italians whom presence was resented over the years, especially starting the 1950’s Vito Genovese era, when the Genovese Family was the New York’s most fearful mob organization. The Mafia slowly integrated itself in every phase of the American life, making no exception to popular culture. Over thirty years, Hollywood never lost the occasion to worship gangsters. What followed, can easily be called a domino effect over the hip-hop culture and today’s studied socio-cultural effect called “The Godfather effect”, referring to the Francis Ford Coppola’s film inspired by the same labeled novel. Big star names as Frank Sinatra are related to the Mafia stile of life and maybe one of the most unbelievable both cultural and historical outstanding effect and eccentric legacy of the gangsters epoch is Bugsy Siegel’s amazing dream: Las Vegas. Now you can simply install the Bet365 android app and enjoy a whole Las Vegas experience. No matter what, eventually after all the “fun”, the law catches up. At times it takes years but it happens. Many of this socially powerful men influencing criminal behavior invested a long time on the run keeping away from the law but every one of them somehow faced their charges. There is unquestionably a cost to pay for this kind of living stile. For most the price was their life. Reppetto, Thomas. American Mafia: A History of Its Rise to Power. Holt Paperbacks, 2005. Next Article January 23, 1795: Dutch Fleet Defeated by French Cavalry!